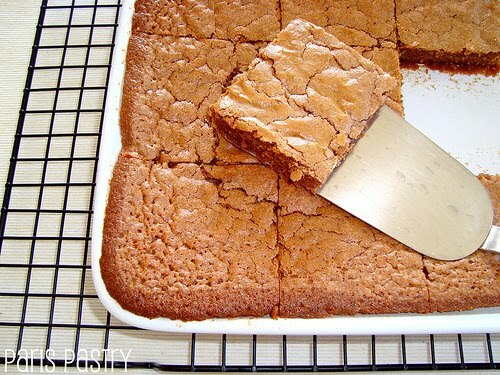 Who can resist brownies? Sure, there are some preferences when it comes to brownies; nuts vs. naked, fudgy vs. cakey, milk vs. dark chocolate. But overall, I don’t there are many people who can say “no” to a brownie. Come on, you know you’ll never say no to THIS. 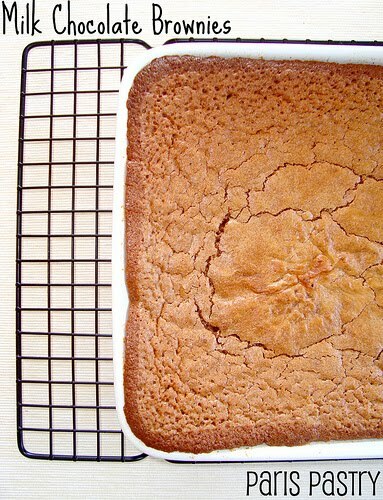 Despite the very few ingredients (mostly chocolate & butter, and a hint of flour), brownie-recipes can vary enormously. When you’re not sure what the other person you’re sharing these with will like in a brownie, (read: you eat ¾ of the batch and leave your friend one bar) it’s best to opt for ‘naked’ brownies that are a cross between fudgy & cakey. These brownies were just that. Rating: 3.5 out of 5. - Put butter and chocolate in a heatproof medium bowl set over a pan of simmering water; stir until melted. Let cool slightly. Whisk together flour, baking powder, and salt in a bowl. Whisk granulated sugar into chocolate mixture. Add eggs, and whisk until mixture is smooth. Stir in vanilla. Add flour mixture; stir until well incorporated. - Pour batter into prepared pan; spread evenly with a rubber spatula. Bake until a cake tester inserted into brownies (avoid center and edges) comes out with a few crumbs but is not wet, about 45 minutes. Let cool slightly in pan, about 15 minutes. 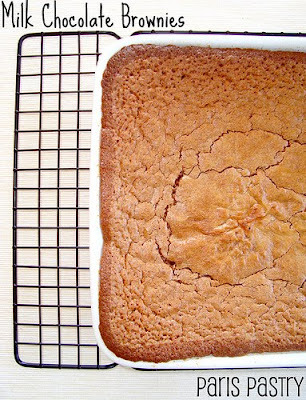 Lift out; let cool completely on a wire rack before cutting into squares. I decided to use milk chocolate instead of bittersweet or semisweet chocolate. make sure you cut back on the sugar in the recipe. Unless you want pass out into a sugar coma. Oh, these look scrumptious! 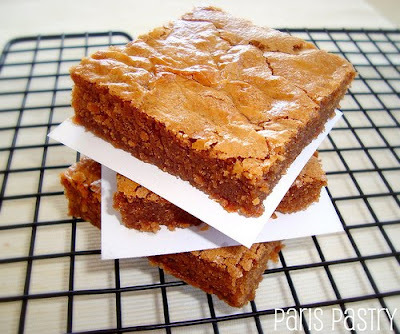 I will need to make these for my son, brownies are his favourite! This is one good lookin brownie! Gosh, they really look perfect! Do you have a recipe that has nuts? I made brownies too!!! We must of been on the same line of thought hehehe. Oh my goodness, those look so yummy! 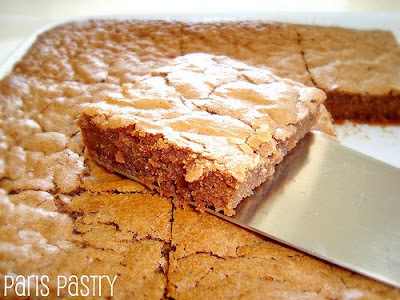 I haven't baked brownies in a while, so I think I might need to try this recipe this weekend! Instead of the average dark colored dark chocolate brownie, now I can choose to bake milk chocolate brownie with more appetizing color... thanks for sharing.. I'm a fudge lover but I will definitely not say no to an in-between. 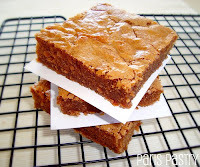 These look really yummy and I'd be curious to try a MILK chocolate brownie since mine are usually darker. mmmm nothing beats a good old chocolate brownie, yorus look so good and youve cut perfect slices hehe! Lots of people are posting brownie recipes lately. I think I might just have to try them all...I know, that's just the kind of blogger I am...so dedicated to the cause!